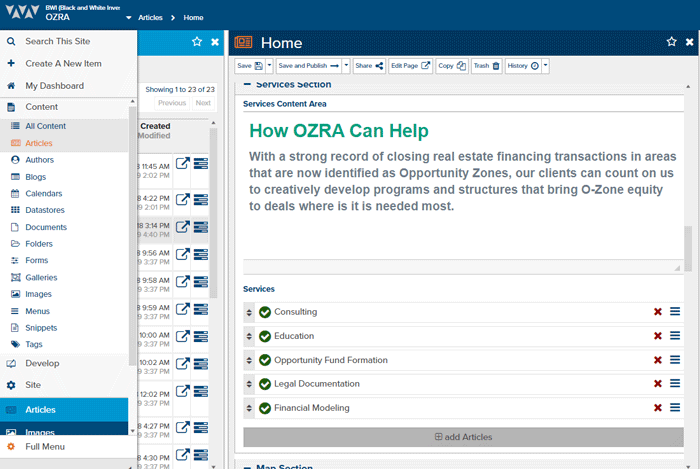 O-Zone Reinvestment Advisors’ (OZRA) mission is to create a partnership between investors and Opportunity Zones, specific census tracts designed by the U.S. Dept. of Treasury. These tracts are generally located in low-income areas and were selected based on a combination of factors including existing economic development programs and local coordination, economic and community data, the likelihood of attracting short- and long-term investment, and growing industry sectors within the community. 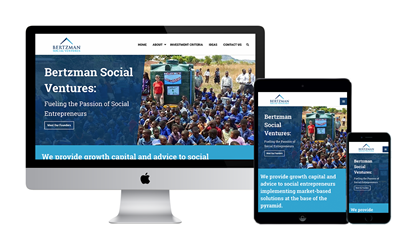 The main objective of this project was to create a new website to promote the new business in order to provide credibility, as well as visibility for the business. Once launched, the website content needed to be very easy to update for non-technical business users, so employees could easily market the business and improve digital marketing efforts. 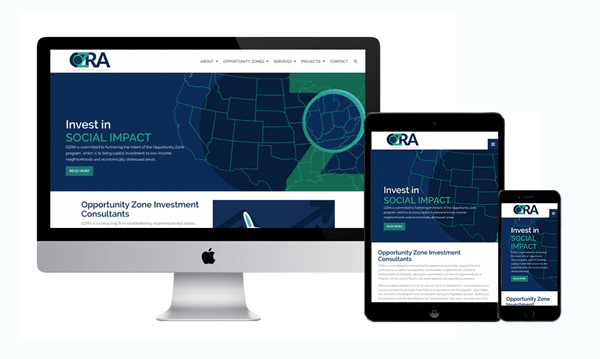 The main goal of this project was to develop a new, modern business website for O-Zone Reinvestment Advisors, while leveraging the design, structure, and templates of sister site. After the discovery session, it was determined that visitors would be interested in a map of the Opportunity Zones, a list of services with individual pages, and a project gallery. The project pages were to not only feature information about the project and the Opportunity Zone, but it elicit visitors who want to invest or donate. Creating and maintaining pages needed to be simple and fast. With Marketpath CMS, a project page can be created in less than 5 minutes by a content editor. While the site was not launched with a blog, blogging functionality and development does exist. When the client is ready, she can create one or two blog posts, and with less than three clicks of a button, have the blog available on the homepage and in the navigation menu. She’ll also be able to easily create new blog posts as new projects or partnerships are forged. The site was developed to attract OZRA’s intended target audiences. In addition to the measures mentioned above, Marketpath performed research to determine how each audience searches for the diverse services offered, and then developed the website with our own search engine optimization (SEO) best practices to increase the site’s visibility. If you have questions about Opportunity Zones or O-Zone Reinvestment Advisors (OZRA), please contact OZRA. For questions about website design and development strategies, please contact Marketpath today.